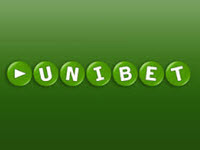 Unibet, one of the more well-known global online gambling operators announced today that they’ve signed a deal to purchase gambling operators “iGaming Holding” for a total of seventy nine million euro’s. This deal has come as a surprise as Unibet made no teases relating to the idea of purchasing out iGame Holding’s. Unibet will have to pay fifty nine million in cash upfront for this deal to pan through, an additional twenty millions euros will be paid out as well if performance goals are reached within the next two years. 100% of this company is being sold off to Unibet, this means that the previous owners of iGame Holding’s won’t have any shares in the company anymore. As of now iGame Holding’s focuses their attention on the Nordic online betting industry, one of the largest upcoming industry in the world. They gross revenues of thirteen million euro’s or more per quarter. As of right now this gambling firm holds seventy five thousand active customers with that number increasing with each passing month. This deal will more than likely pan through for Unibet in every way they wish for it to. The Nordic gambling market is increasing with every week, citizens from around the area are registering account with casinos at a rapid rate. iGame Holding’s is known for being one of the few true notable operators in the market right now, this only means more profit for Unibet in the upcoming future. Unibet will surely also make this platform for more exciting for punters as well.